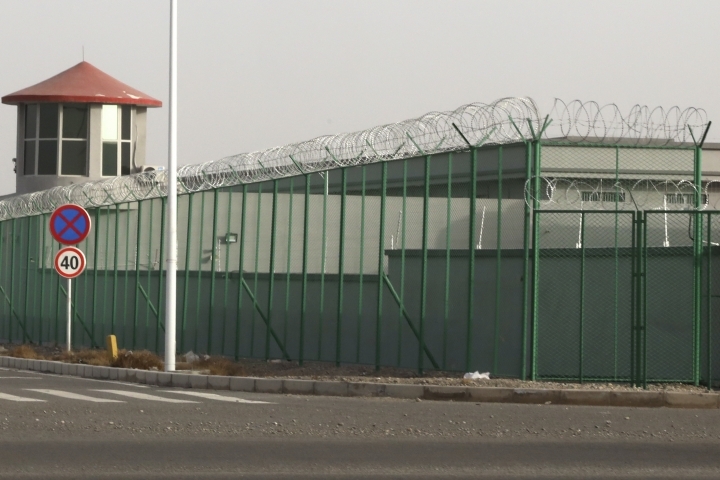 HOTAN, China — Barbed wire and hundreds of cameras ring a massive compound of more than 30 dormitories, schools, warehouses and workshops in China's far west. Dozens of armed officers and a growling Doberman stand guard outside. Chinese authorities say the camps, which they call training centers, offer free vocational training for Uighurs, Kazakhs and others, mostly Muslims, as part of a plan to bring minorities into "a modern civilized" world and eliminate poverty in Xinjiang. They say that people in the centers have signed agreements to receive vocational training. 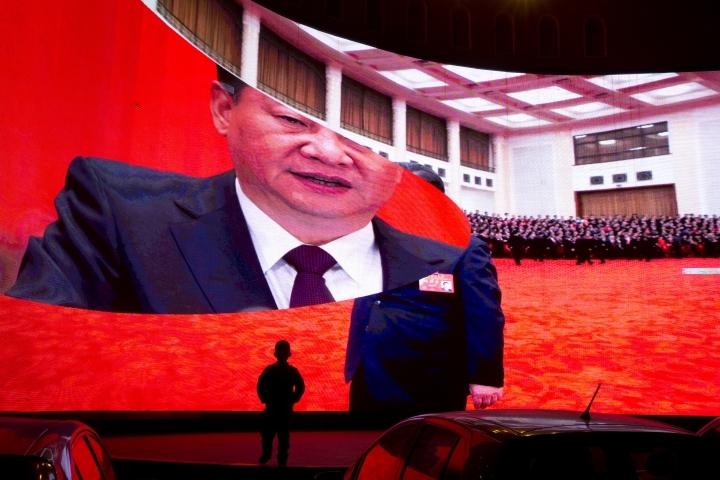 The Xinjiang Propaganda Department did not respond to a faxed request for comment. A Chinese Foreign Ministry spokeswoman accused the foreign media Monday of making "many untrue reports" about the training centers, but did not specify when asked for details. "Those reports are completely based on hearsay evidence or made out of thin air," the spokeswoman, Hua Chunying, said at a daily briefing. "The camp didn't pay any money, not a single cent," he said, asking to be identified only by his first name, Elyar, because he has relatives still in Xinjiang. "Even for necessities, such as things to shower with or sleep at night, they would call our families outside to get them to pay for it." "American companies importing from those places should know those products are made by people being treated like slaves," she said. "What are they going to do, train a doctor to be a seamstress?" 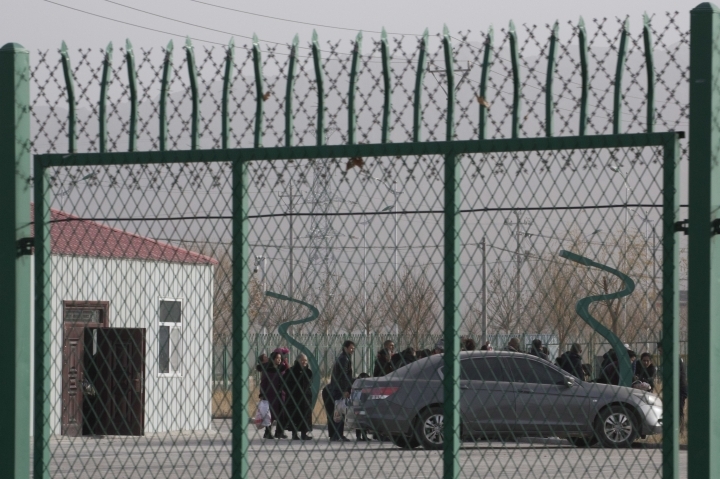 As China faced growing international pressure about the detention camps, its state broadcaster aired a 15-minute report in October that featured a "vocational skills education and training center" in the southern Xinjiang city of Hotan. "Terrorism and extremism are the common enemy of human civilization," the China Central Television program began. In response, the report said, the Xinjiang government was using vocational training to solve this "global issue." Wu Hongbo, the chairman of Hetian Taida, confirmed that the company has a factory inside the same compound as the training center featured in the China Central Television report. Hetian Taida provides employment to those trainees who were deemed by the government to be "unproblematic," he said, adding that the center is government-operated. "We're making our contribution to eradicating poverty," Wu told the AP over the phone. "I don't dare to imagine what would have happened to me if I didn't come here," one Uighur student said. "The party and government found me in time and saved me. They gave me a chance to reinvent myself." The segment said that in addition to law and Mandarin-language classes, the training center collaborated with companies to give trainees practical experience. 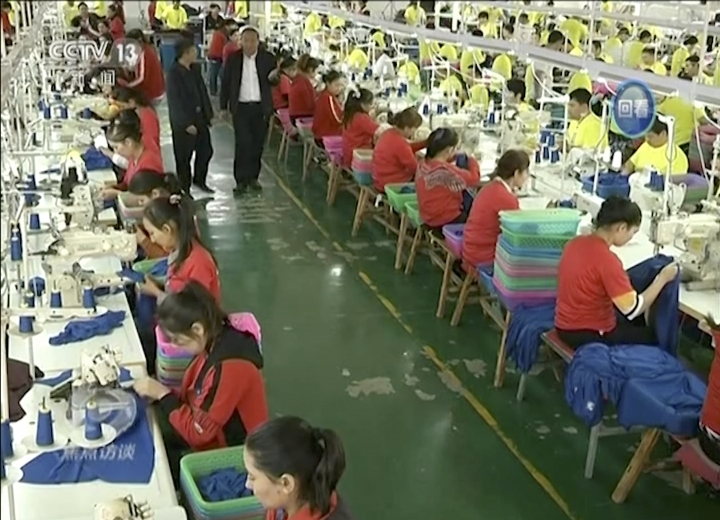 Trainees were shown hunched over sewing machines in a factory whose interior matches that of Hetian Taida's main Hotan branch, as seen in prior Chinese media reports. Police told the AP journalists who approached the compound earlier this month that they could not take photos or film in the area because it was part of a "military facility." Yet the entrance was marked only by a tall gate that said it was an "apparel employment training base." Posters line the barbed-wire perimeter, bearing messages such as "Learn to be grateful, learn to be an upright person" and "No need to pay tuition, find a job easily." 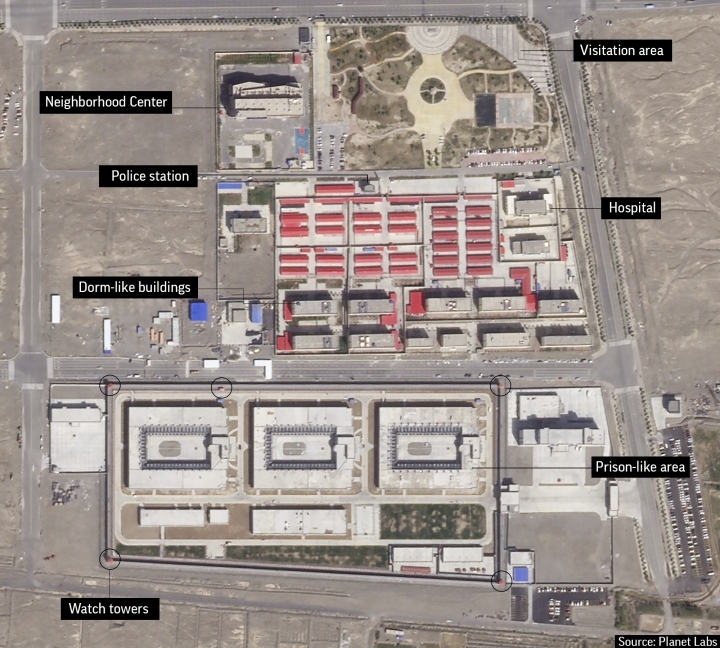 Nathan Ruser, a cyber-policy researcher at the Australian Strategic Policy Institute (ASPI), analyzed satellite images for the AP and found that in Hetian Taida's case, the apparel factory and the government-run training camp are connected by a fenced path. "There are watchtowers throughout," Ruser said. "There are clear fences between the buildings and walls that limit movement. Detainees can only access the factories area through walkways, and the entire facility is closed." At least 10 times this year shipping containers filled with thousands of men's, women's and youth polyester knitted T-shirts and pants were sent to Badger Sportswear, a 47-year-old athletic gear seller. The company mostly manufactures in Nicaragua and the U.S., and there is no way to tell where the products from Xinjiang specifically end up. But experts say supply chains are considered tainted by forced labor and modern slavery if even one item was produced by someone forced to work. Sprinkled on the internet are clues that repeatedly tie the company to the detention camp's sewing factory floor. 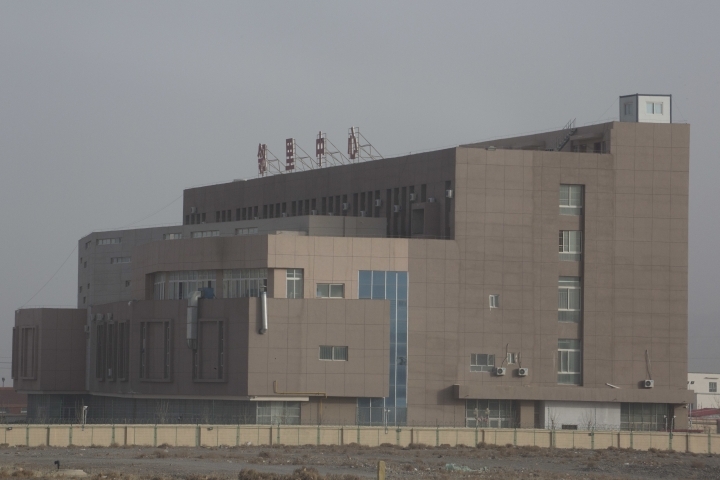 Shawn Zhang, a researcher at the University of British Columbia, noted an overlooked Hotan city social media post from February about the first batch of some 1.5 million pieces of clothing worth $400,000 heading overseas from the Hetian Taida Factory. In the middle of a photo of young women flashing the peace sign is Badger Sportswear's marketing director Ginny Gasswint, who is quoted as saying she's surprised the workers are "friendly, beautiful, enthusiastic and hardworking." Badger Sportswear goes to university bookstores and sports teams large and small around the country, places like Charlotte Country Day School squash team in Charlotte, North Carolina, Rhode Island's Coventry Little League and Hansberry College Prep in Chicago, according to its website and advertisements. Dozens of college bookstores advertise their gear printed on Badger Sportswear, including Texas A&M, University of Pennsylvania, Appalachian State University, University of Northern Iowa, University of Evansville and Bates College. However, it's impossible to say if any particular shirt is made with forced labor. "We will voluntarily halt sourcing and will move production elsewhere while we investigate the matters raised," he said. It's unclear whether other companies also export products made by forced labor in Xinjiang to the U.S., Europe and Asia. The AP found two companies exporting to the U.S. that share approximately the same coordinates as places experts have identified as internment camps, and Chinese media reports mention "training" there. But the AP could not confirm whether the companies use forced labor. 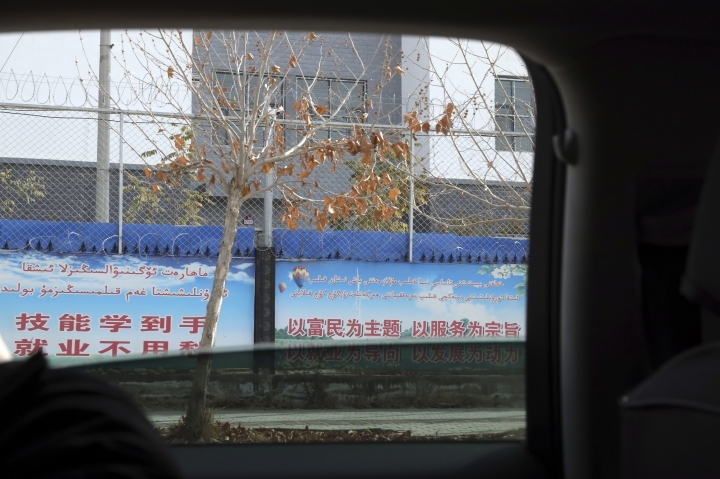 "Not only is the Chinese government detaining over a million Uyghurs and other Muslims, forcing them to revoke their faith and profess loyalty to the Communist Party, they are now profiting from their labor," said Smith. "U.S. consumers should not be buying and U.S. businesses should not be importing goods made in modern-day concentration camps." 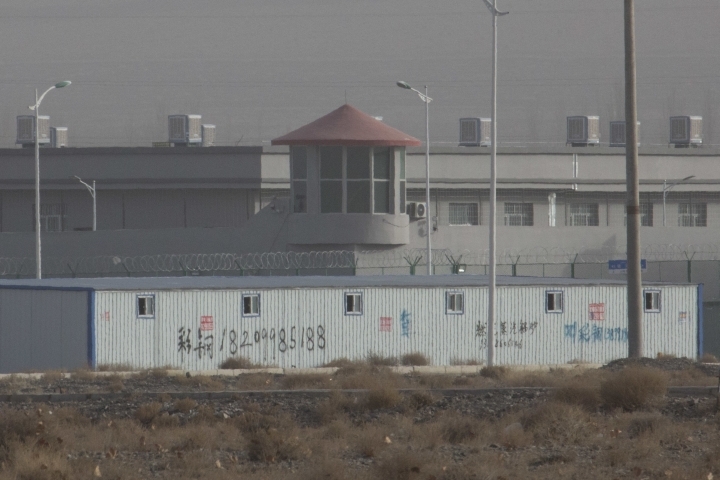 The detention camp system is part of China's increasingly stringent state security under President Xi Jinping. 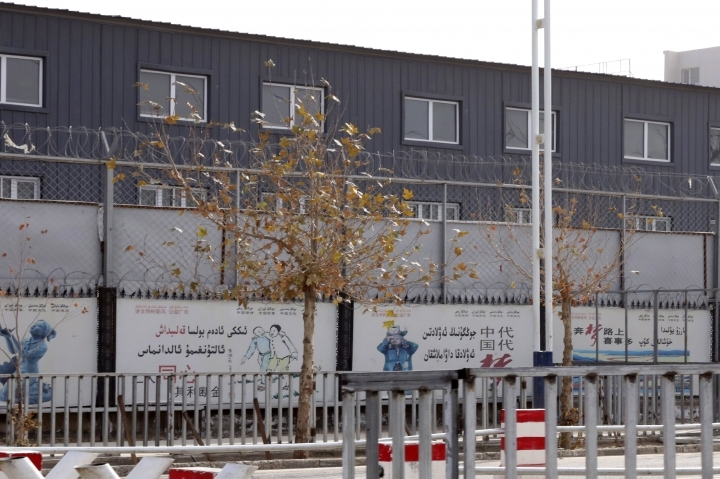 Some detainees told AP earlier this year about beating, solitary confinement and other punishments if they do not recite political songs, names and phrases. The AP has not been given access to these facilities despite repeated attempts to get permission to visit. Not all the camps have forced labor. Many former detainees say they were held in facilities that didn't have any manufacturing equipment and focused solely on political indoctrination. "They didn't teach me anything. They were brainwashing me, trying to make us believe how great China is, how powerful it is, how developed its economy is," said Kairat Samarkan, a Kazakh citizen who said he was tortured with a metal contraption that contorts your body before being released in February after he tried to kill himself. Interviewees described a wave of factory openings earlier this year. Ex-detainee Orynbek Koksebek said that shortly before his release in April, the director strode into his class and announced that a factory would be built in the camp. Koksebek, who cannot speak Mandarin, listened to a policeman as he translated the director's words into Kazakh for the roughly 90 women and 15 men in the room. "We're going to open a factory, you're going to work," Koksebek recalled him as saying. "We'll teach you how to cook, how to sew clothes, how to fix cars." This fall, months after Koksebek's release, news began trickling into Kazakhstan that the Chinese government was starting forced labor in internment camps and would transfer some detainees out into gated, guarded factories. The workers must live in dormitories on factory grounds. Contact with family ranges from phone calls or in-person visits, to weekends at home under police surveillance. In October, Chinese authorities acknowledged the existence of what they called vocational training centers. State media published an interview with Shohret Zahir, the governor of Xinjiang, saying that "some trainees" were nearly done with their "courses." "We will try to achieve a seamless connection between school teaching and social employment, so that after finishing their courses, the trainees will be able to find jobs and earn a well-off life," Zahir said. 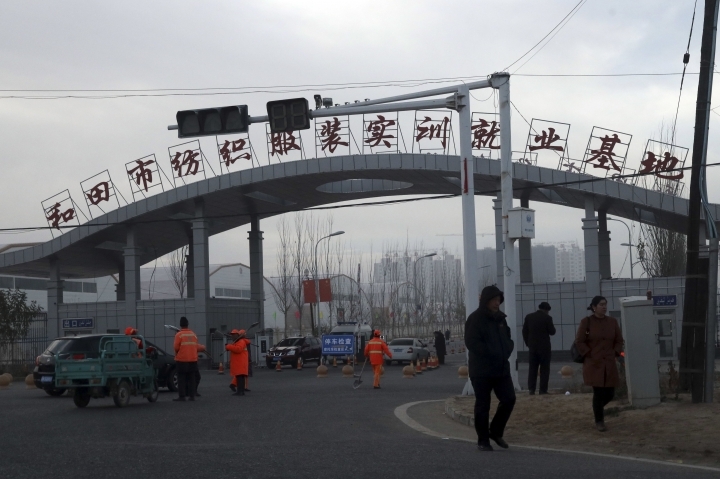 The forced labor program goes along with a massive government initiative to develop Xinjiang's economy by constructing enormous factory parks. 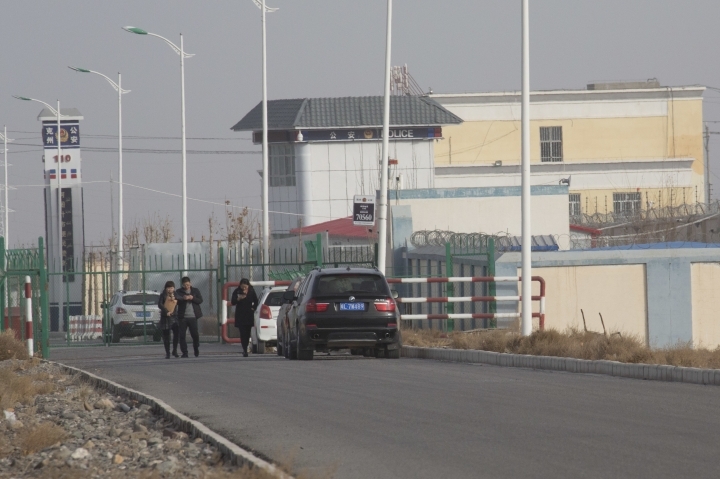 Another internment camp the AP visited was inside a factory compound called Kunshan Industrial Park, opened under the national anti-poverty push. A local propaganda official, Chen Fang, said workers inside made food and clothes. A hospital, a police station, smokestacks, dormitories and a building with a sign that read "House of Workers" could be seen from outside the surrounding barbed wire fencing. Another section resembled a prison, with guard towers and high walls. The AP did not track any exports from Kunshan to the U.S. Many of those with relatives in such camps said their loved ones were well-educated with high-paying jobs before their arrest, and did not need a poverty alleviation program. Nurbakyt Kaliaskar, a sheepherder's wife in Kazakhstan, said her daughter, Rezila Nulale, 25, was a college graduate with a well-paid advertising job in Urumqi, the capital of Xinjiang, where she lived a typical urban lifestyle with a computer, a washing machine and an apartment in the city center. Then last August, after returning from a visit to her family across the border in Kazakhstan, Nulale vanished. She didn't answer phone calls and stopped showing up to work. Four months later a stranger contacted Kaliaskar online and confirmed her fear: her daughter had been detained for "political training." The next spring, she said she fainted when two cases of her daughter's clothes were delivered to her home in Kazakhstan. Last month, Kaliaskar got word via a friend who knows the family that Nulale was working in a factory next to the camp where she had been detained. The friend had heard from Kaliaskar's brother, who had visited Nulale, bringing medicine for an injured hand. Kaliaskar learned her daughter wasn't being paid and had to meet a daily quota of three articles of clothing. She couldn't leave. Her uncle thought she looked pale and thin. "They say they're teaching her to weave clothes. But the thing is, she's well educated and had a job," said Kaliaskar. "What's the point of this training?" If they ran from the factories, they were warned, they'd be taken straight back to the camps for "further education." Farmers, herders and manual laborers with little Mandarin and no higher education say they appreciated Beijing's past initiatives to help the poor, including subsidized housing and the installation of electricity and running water. But the camps, the forced education, and the factories, they say, go too far. "I never asked the government to find work for my husband," said Mainur Medetbek, whose husband did odd repair jobs before vanishing into a camp in February during a visit to China from their home in Kazakhstan. She has been able to glean a sense of his conditions from monitored exchanges with relatives and from the husband of a woman who is in the same camp. He works in an apparel factory and is allowed to leave and spend the night with relatives every other Saturday. Though she's not certain how much her husband makes, the woman in his camp earns 600 yuan (about $87) a month, less than half the local minimum wage and far less than what Medetbek's husband used to earn. "They say it's a factory, but it's an excuse for detention. They don't have freedom, there's no time for him to talk with me," she said. "They say they found a job for him. I think it's a concentration camp."